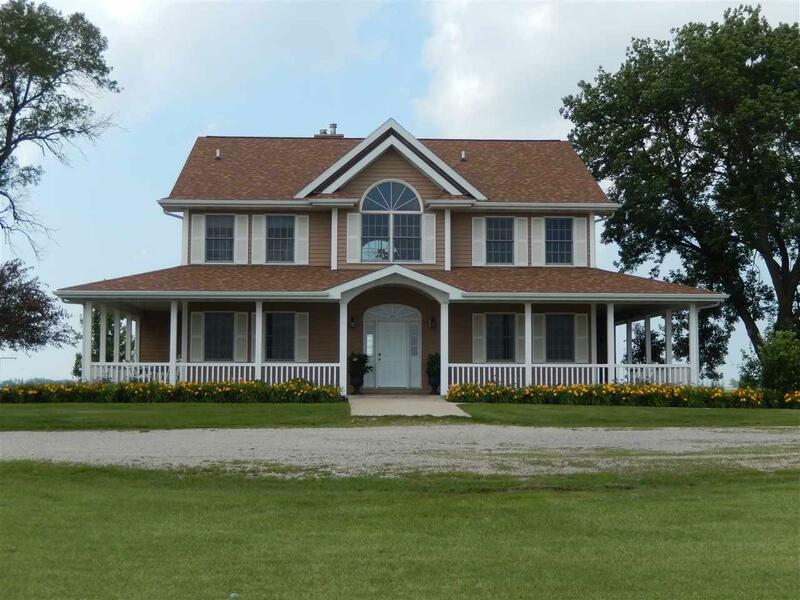 Beautiful Acreage in Grundy County!! Private and Peaceful setting feel like your in Heaven!! Executive 2 Story built in 2004 with over 5, 000 sq ft finished, 5 bedrooms, 3.5 baths, great room with volume ceilings, wood floors and fireplace! Beautiful kitchen with island/Jenn-Air range top built in oven, walk in pantry, all kitchen appliances remain with property. Dining area with access to deck over looking back yard and pasture area ( pasture area could be purchased at a higher price). Main floor master suite with walk in closet, double vanity, soaking tub and shower! Also main floor laundry and office with built in book shelves! Upstairs you have 4 bedrooms, a bath and loft type family room for the children. Basement level has family room, bath, walk out to patio and fire pit, possible 6th bedroom (no egress). Wrap around porch with swing, great for relaxing and reading a book!! Detached oversized 4 car garage, plus 192 x 60 pole building with a 24x24 office area that is plumbed for a bathroom. Building currently has water & electric, and finished inside on 1/2 half of the building. 970 feet of Beautiful white vinyl fencing and high tinsile fencing installed in 2005 around entire pasture area. An additional 5 to 26 acres could be purchased with this property at a higher price. Current price is with 4 acres m/l Qualified Buyers only.